Martinique is an insular region of France located in the Lesser Antilles in the Eastern Caribbean Sea. The island is part of the Windward Islands and it is directly north of Saint Lucia, northwest of Barbados, and south of Dominica. It is an overseas region of France consisting of a single overseas department. Martinique is one of the 18 regions of France located outside of the metropolitan area. As part of France, Martinique is a member of the European Union and its currency is the Euro. The official language in Martinique is French but most of the population speaks Antillean Creole also. The dominant religion is Roman Catholic (90% of the population practices it). The region’s population is around 400,000. The governing body is a regional council headed by Serge Letchimy as of now. The region’s prefecture is Fort-de-France. The island was first visited from Europe by Columbus in 1493 but remained independent until 1653 when Pierre Belain d’Esnambuc established the first European settlement in Fort Saint-Pierre after claiming the island for King Louis XIII. The British occupied the island from 1794 to 1815 when they traded it back to France at the end of the Napoleonic Wars. Martinique is a French territory ever since. In 1946, the French National Assembly voted unanimously to transform the colony into an Overseas Department of France. Therefore, the inhabitants of Martinique became full-fledged French citizens too, with complete political and legal rights. Due to it being a French territory, gambling is completely legal if the provider acquired the proper licenses. There are currently 2 casinos operating on the island, the Casino Bateliere Plaza located in Schoelcher and the Hotel Kalenda Resort in Pointe du Bout, Trois-Îlets. These casinos offer all the popular games like roulette, poker, blackjack, and slot machines to name a few. As of now, only casinos (besides horse races) available to those who want to play in Martinique. However, players from Martinique are accepted in numerous online casinos. Gambling is completely legal in Martinique as French laws apply to the territory. 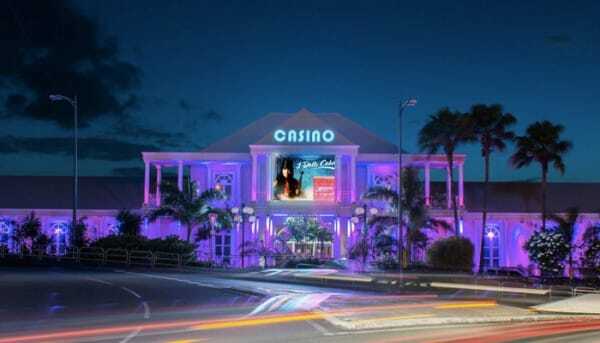 There are 2 brick-and-mortar casinos in Martinique at the moment where players can enjoy many kinds of popular casino games (poker, blackjack, roulette, slot machines, etc.). The 2 casinos are the Casino Bateliere Plaza located in Schoelcher and the Hotel Kalenda Resort in Pointe du Bout, Trois-Îlets. Online gambling is legal too but there aren’t any online casinos operating on the island as of now. Players from Martinique are accepted in numerous offshore online casinos to try out their luck, though. Bingo is quite popular among players around the world, especially in the US. Bingo is popular in France too, however, there are no land-based bingo halls in Martinique right now. Players from Martinique are accepted in many offshore online casinos to satisfy their needs of a good bingo game, though. Poker is quite possibly the most popular casino game ever created. The main reasons behind its ever growing popularity are the constant television broadcasts, and world championships. Many would consider poker as a game of skill rather than a game of chance but in nature, poker still counts as a form of gambling. Gambling is legal in France, so it is legal in Martinique too because it is a French territory. Players can enjoy poker in the 2 land-based casinos on the island, or try out their luck (or skills) in an offshore online casino. Players from Martinique are accepted in numerous foreign online casinos. Sports betting is one of the most common forms of gambling around the world. Players from Martinique can bet on their favorite sports in the land-based establishments on the island. There is a horse race track on the island by the sea with regular races also. There are no online bookmakers operating on the island right now, but players from Martinique are accepted in numerous offshore online casinos to bet on sports. Bitcoin is a digital currency often referred to as a “cryptocurrency” invented in 2008. It quickly became popular around the world in the following years. Bitcoin gambling appeared shortly after the introduction of the digital currency and continues to grow in popularity as more and more online casinos started to specialize in it. Despite being popular, Bitcoin is still a relatively new phenomenon so just only a handful of countries issued laws concerning it. As of now, there aren’t any specific laws in France concerning Bitcoin gambling or Bitcoin in general. Players from Martinique are accepted in numerous online casinos specialized in Bitcoin gambling to try out their luck. An overview of gambling's legal status in Martinique.